Do you find protein bars to be too expensive? Do you find protein bars to taste like dirt? If you answered yes to these questions you are not alone. 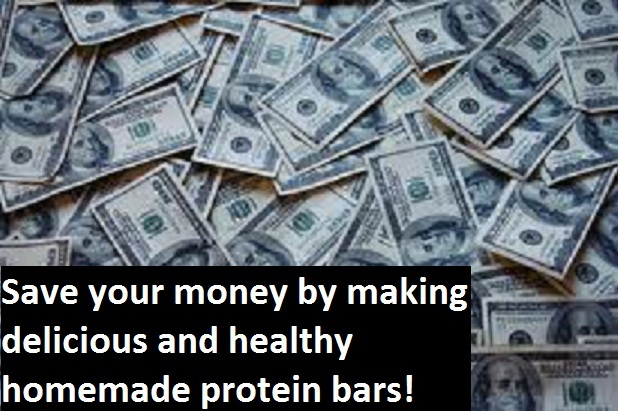 Protein bars can be very expensive and even when they are severely over priced, many of them taste very poorly too. No worries though because here is your solution to both of these problems. For a while I personally had problems with purchasing expensive, poorly tasting, and unhealthy protein bars. By utilizing this healthy homemade protein bars recipe, I learned that not only can protein bars be made at home for a low price, it also tastes great and is much healthier. Also a big plus is that you do not even need to put these homemade protein bars in the oven. All you have to do is to simply let them sit in the refrigerator overnight. Shown below is a recipe for how to make healthy homemade protein bars. These homemade protein bars are not only healthy, but less expensive and delicious as well. The ingredients listed for this homemade protein bars recipe will be enough for about 15 great-tasting and cheap protein bars, each containing approximately 300 calories and 30 g of protein. After you mix the ingredients together very well, take the mix and roll them evenly into 15 protein bars on . After you separate them into 15 even bars, roll them in flax seed and then set them in the fridge for about 2 hours (I have found the best success simply leaving them in the refrigerator overnight). Your delicious protein bars waiting in the fridge for you. By placing them in the refrigerator they will have hardened and become very easy to eat without it causing a mess. One last thing. For the ingredients, use organic ingredients if possible…. Enjoy your delicious, cheap, and healthy homemade protein bars recipe!